CNC machined from solid blued-steel. Fully adjustable for windage and elevation with traditional flat-top and reversible "U" or "V" notch plate. Fits 3/8" dovetails. Height adjusts from .400" to .505". 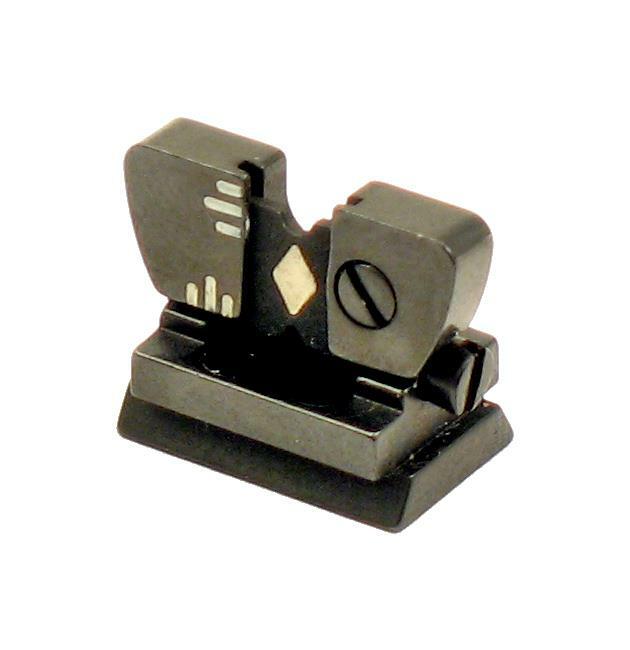 Rear Sight, Sporting, 64M, Semi-Buckhorn, Mfgd By Marbles. Short Shank. Rear Sight, Sporting, 66M, Flat Top, Mfgd By Marbles. Long Shank.